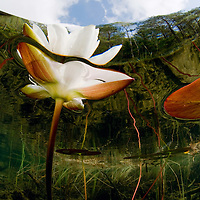 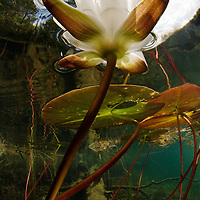 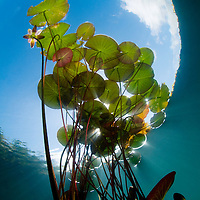 European White Waterlily (Nymphaea alba) grows in large ponds and the leaves can be up to thirty centimeters in diameter. 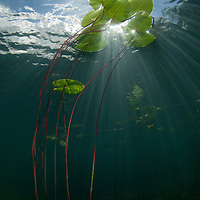 The red variety came from lake Fagertärn in the forest of Tiveden, Sweden, where they were discovered in the early 19th century. 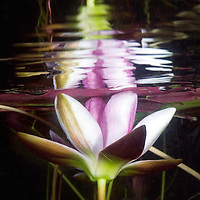 The lilies contains alkaloids nupharine and nymphaeine and is a sedative and aphrodisiac / anaphrodisiacand depending on the sources. 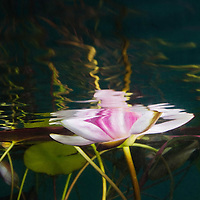 It is the petals and other flower parts are the most potent.